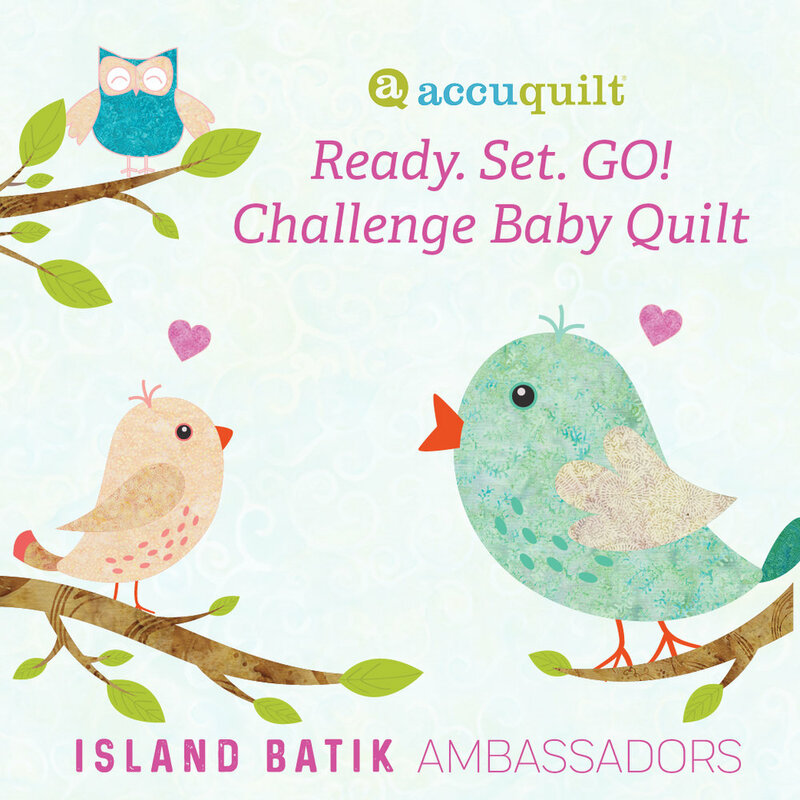 The April Island Batik Ambassador Challenge is titled AccuQuilt Ready. Set. GO! Baby Quilt Challenge. I selected the Paisley Dot Brights Island Stacks for this project. It includes 42 - 10” squares of 21 different fabric designs. Island Batik and their industry partners AccuQuilt, Aurifil and Hobbs batting provided the materials and equipment to create this project. 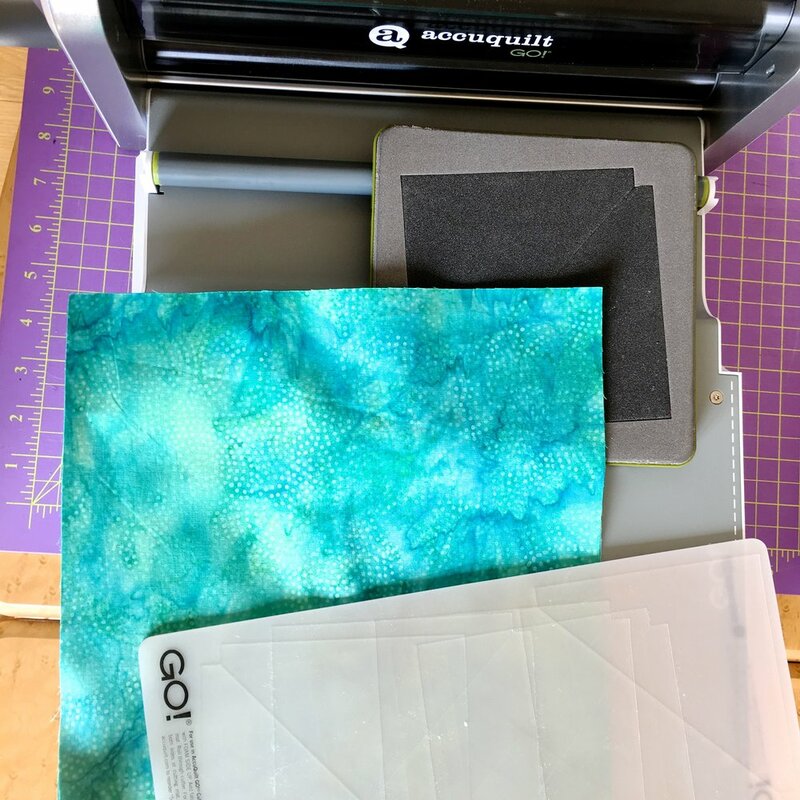 The project this month requires Island Batik Ambassadors to create a 40” to 48” square baby quilt using the AccuQuilt GO cutter. (I miss read the instructions so mine will NOT be square. OOPS!) I used the GO! Half Square Triangle die to cut 336 four inch finished triangles. And….ZIP…I was done. I really pushed the limits of this die, cutting 6 layers at a time with 1/16” border around each cut. 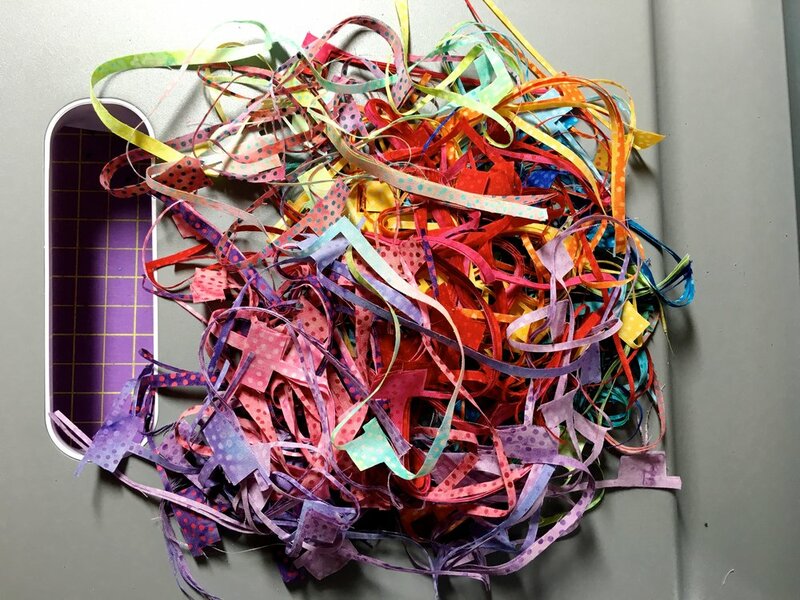 These were my only scraps after cutting the triangles. Time to convert the 336 half square triangles to 168 4" finished squares. Chain piecing made the process go faster as did the shape of fabric pieces. Having corners already cut off makes for super accurate piecing. The pattern was created with 12 columns and 15 rows but my 42 pack of 10” squares allowed for 12 columns by 14 rows. I used an iron off marker to label each square to keep the correct location and orientation. First 14 rows were created and pressed, then rows were stitched together. Amazingly not a single block had to be ‘un-sewn’! I loaded a HUGE backing fabric on the Handi Quilter for this project. It had to be large enough to accommodate placing the quilt at an angle. I wanted to quilt this diagonally so I mounted the quilt on backing and Hobbs batting at a 45 degree angle. Finished quilt is 47” X 54”. It is backed and bound with a deep purple printed fabric.